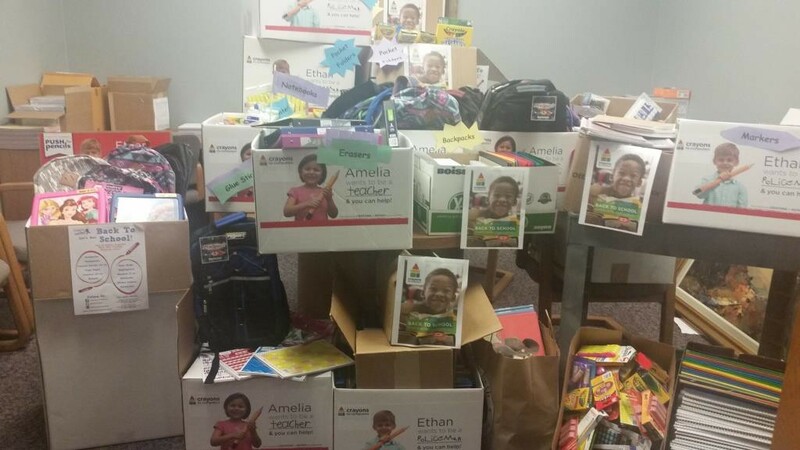 The Young Professionals Network of the Cincinnati Area Board of REALTORS (CABR) hosted a drive for Crayons to Computers during the beginning of August. Over 25 REALTOR offices across the tristate participated in this drive, collecting over a vanload of school supplies. This is the second year that CABR YPN has hosted this drive in the month of August. The supplies were picked up by Crayons to Computer today and will be distributed to needy kids and classrooms throughout the tristate. For more information, contact Andrew Clark at CABR at 513-842-3019. Founded in 1997, Crayons to Computers has always been driven to bridge the gap between families in need and education. To date, they have successfully distributed more than $145 million worth of free school supplies via their partnerships with sponsoring companies and organizations, with no stopping in sight. Since their inception, poverty levels—both national and local—have steadily increased. They have not changed their service area or their eligibility criteria, the need is simply growing. In fact, according to recent census data, approximately 1 out of every 5 children living in the Greater Cincinnati area is living in poverty.